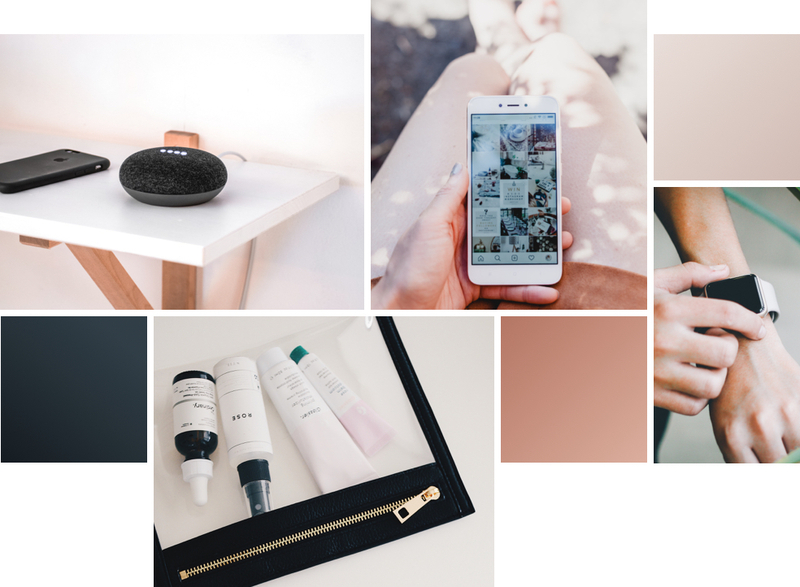 With a year of possibilities, focusing on the trends of 2019 will help your brand develop a vision for the months ahead. Delivering a personalized experience that resonates with each individual user is key when trying to stand out from your competition. Leveraging new tools from Klaviyo, RightMessage, and others, like adaptive landing pages, personalized product recommendations, and dynamic website personalization (DWP), can provide your users with the content and convenience they desire. Nosto also offers an on-site content personalization tool which allows you to easily segment users based on what they’ve clicked and transform key site pages to reflect their interests. Customers today have come to expect instant gratification and a high level of communication when it comes to customer service. This presents an opportunity to more thoughtfully integrate ways to communicate with customers throughout their entire purchase cycle. Sarah Doody, user experience designer and consultant, puts it well when she says, “The path to conversion is not about clicks but about conversation.” We should be thinking about when and where it makes sense to start a conversation with a prospective customer so that we can better tailor their experience. Additionally, how do we engage existing customers so we can gather crucial microfeedback to enhance their future experience? Leveraging customer service chatbots to quickly answer customer questions, provide useful information, and ensure customer satisfaction while minimizing internal operational costs can be crucial to your business model. Chatbots are getting smarter by machine learning which has enabled them to gain a better understanding of which questions are being asked most frequently. Augmented reality is predicted to take off in popularity this year. With tools like Shopify AR powered by 3D Warehouse and 3D modeling experts, it is becoming extremely easy to successfully integrate AR into your eCommerce store. This ultimately means a much more enhanced buying experience for customers who can now ‘test out’ homeware products or ‘try on’ clothes and accessories. AR is filling the difficult gap between brick-and-mortar and online shopping experiences. Video is expanding its boundaries within the eCommerce world. It is an excellent tool to better illustrate how a product is used, the benefits it offers to consumers and engage the customer on a more personal level. With video you are able to better encourage fence-straddlers to make their purchase now. Promotional videos on the homepage, well-produced feature videos on the product page, along with influencer content and related products have all proven to drive more conversions. It is predicted that by 2020, 50 percent of search queries will be done via voice. This presents a huge opportunity for eCommerce brands, as customers are making more and more purchases through their at-home-devices like Alexa or Google Home. Generally, voice search queries are longer than the typical typed search. Using this data can be a great resource in informing and optimizing product descriptions so that they are descriptive yet precise. This term references the opportunity to buy products outside of traditional eCommerce platforms. Google and Instagram are leading the way in this area by incorporating product listings right within search and social experiences. It is predicted that product listings will begin appearing in higher trafficked areas and will be presented in a much smarter experience than what currently exists. eCommerce platforms like Shopify Plus have make it easier to promote multiple shopping channels through their integration with marketplace leaders such as Facebook, Amazon, and eBay. An emerging web standard currently being developed by W3C, called Web Payments, will fundamentally change the state of eCommerce checkout as we know it. This new trend drastically simplifies the online payment process by allowing browser native UIs to checkout with previously saved data such as address information and card details with only a few taps via the Payment Request API. No more filling out ridiculously long forms on desktop, or mobile for that matter! Now customers will be able to circumnavigate the traditional checkout process, making it faster and more conveniently to make their purchase. One of the many hurdles for eCommerce retailers has been the lack of flexible payment options. Although much of the US and UK are comfortable with paying upfront using a credit or debit card, other parts of the world see this as a problem. We can expect to see a shift toward more flexible payment options. With tools like Klarna and Spiltit, customers will be able to defer payment or pay in ways that don’t need credit. Within the past five years, the subscription eCommerce market has grown by 500 percent. Subscriptions generated over $2.6 billion for large retailers in 2016. These stats prove that the combination of subscriptions and bundling products is shaping up to be a huge trend for 2019. Through tools like Recharge Payments and Bundle Builder, smaller retailers are able to offer the same subscription services as their industry giant counterparts. Platforms like Shopify and Shopify Plus have paved the way for faster, leaner eCommerce brands. Now more than ever, these fast growing brands are seeking greater control, better efficiency, and less reliance on developers. Powerful process automation tools like Shopify Flow and Launchpad are changing the eCommerce landscape and allowing brands to better optimize and grow quicker. E-commerce statistics reveal the current and past behaviors of consumers, while projections predict how customers will act in the future. Reviewing these numbers can provide further reasoning to optimize your Shopify site in an effort to stay competitive and innovative as the industry evolves. Understanding the shopper's behavior helps merchants tailor their stores accordingly. For example, desktop accounts for only 30 percent of online retail visits. However, 61 percent of orders are made on a desktop, while 45 percent of online orders are mobile accounts. Customers like to know exactly how much they are spending before deciding whether or not to follow through with their purchase. Nearly 70 percent of them abandon checkout due to unexpected fees. To avoid this, integrate functionality for calculating shipping and tax charges directly in the cart to provide a more accurate order total prior to checkout. Increasing the average order value is an excellent way to boost revenue without finding new customers. Nearly 25 percent of customers will buy additional items to qualify for free shipping, which is an effective approach for increasing basket totals on Shopify sites. To mitigate cart abandonment, offer customers more ways to pay for their orders. For example, 42 percent of consumers prefer to pay by credit card. The Shopify Plus platform makes it easy for merchants to accept the most popular forms of payment. Subscription services have become the secret sauce for attracting repeat purchasers. Consider 58 percent of e-commerce subscribers have multiple subscriptions, and this is clearly an option that works for online shoppers and merchants. The common thread throughout these trends and statistics is the importance of making the shopping experience easier for customers. For these online shoppers that have high expectations with little patience, it is important to customize their shopping experience to meet their needs all while getting them through the checkout process quickly. The most successful merchants keep a finger on the pulse of consumer behaviors and preferences while implementing the latest technological advances. Shopify Plus partners know the most recent trends and harness the power of technology to help merchants provide interactive stores customers both like and trust. Are you ready to learn more about the future of eCommerce and how stand out in this thriving industry using Shopify Plus? Contact us at eHouse Studio to get the latest updates.